A high-poweredpanel appointed by the Supreme Court has recommended that name and pictures of political parties, their office-bearers etc. should not be used in government advertisements. The panel headed by eminent Professor N R Madhava Menon has reportedly also said that there has been "misuse and abuse" of public money on such advertisements. The Committee headed by Professor Menon and having T K Viswanathan, former Secretary General of Lok Sabha and Solicitor General Ranjit Kumar has already submitted its report to the Supreme Court. 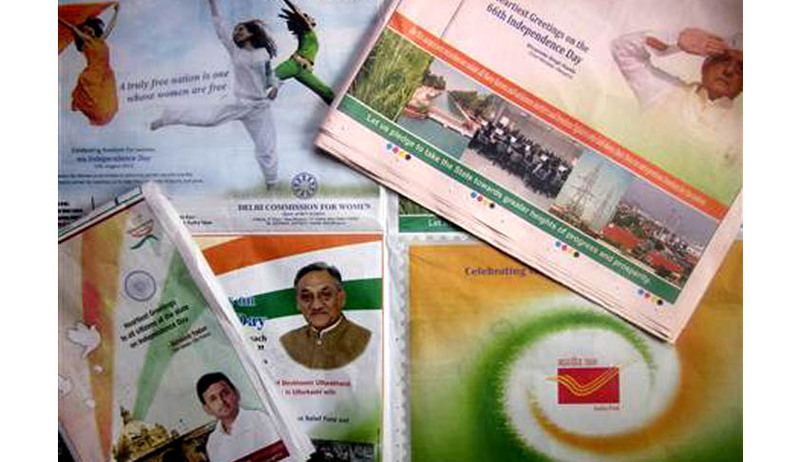 The Committee, in the report, has also framed guidelines regarding government advertisements and has reportedly recommended the name and pictures of only President, the Prime Minister, Governor and Chief Ministers be published to "keep politics away from such ads". In this regard, the Election Commission of India had also said that there must be severe restrictions on advertisements from six months before elections. It had also said that a deadline must be fixed for prohibiting such advertisements and that the Election Commission should have the power to deal with such issues. Regarding multiple advertisements by different government agencies and ministries regarding the same thing, the panel has recommended that only one ministry, preferably Information and Broadcasting Ministry, should do it.